I am putting the year on here so nobody gets it confused with that Movie of the same name where Ashley Judd does drugs and freaks out in a hotel. Alright? The movie begins by introducing a nice, small town that is Christian and completely non-threatening. After enough time setting up that and are random supporting characters, an earthquake occurs. It shakes up all the people in Church, but everyone is alright. Little do they know that something more dangerous has occurred though! Later that night, a cat stumbles upon a cockroach, or so it thinks. The Bug does an unseen action and causes the cat to light on fire! Jesus, movie, stop picking on the cats! First Beware! The Blob and now this! What did they ever do to you?!? 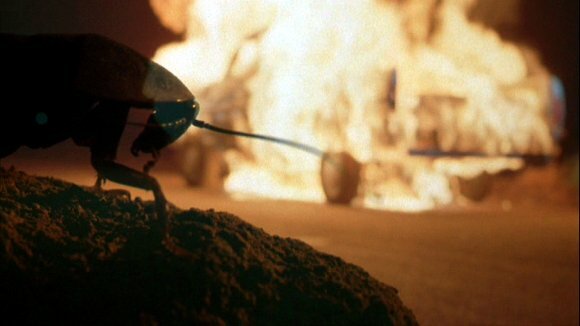 Eventually, some people become victims of the bugs as well, the high point of which is a truck explosion. As luck would have it, this town has an Entomologist on staff, who serves as a High School Biology teacher. He goes to great lengths to study the creatures, becoming more and more secluded from his friends and family. Hell, even his wife gets put on the back burner (no pun intended) in favor of the bugs. The real joy of this film is just watching how his character progresses into insanity. To be honest, everything is just window-dressing. 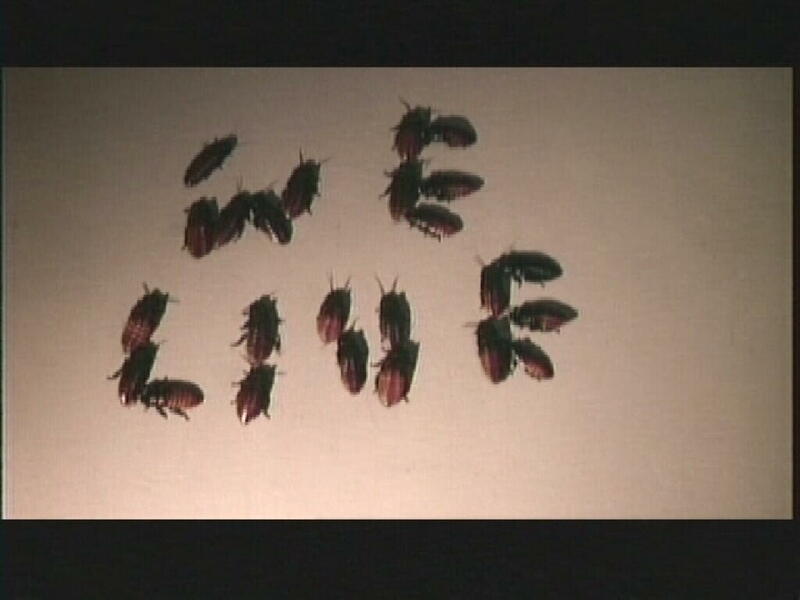 He is the star of the movie and the bugs are the supporting actors. 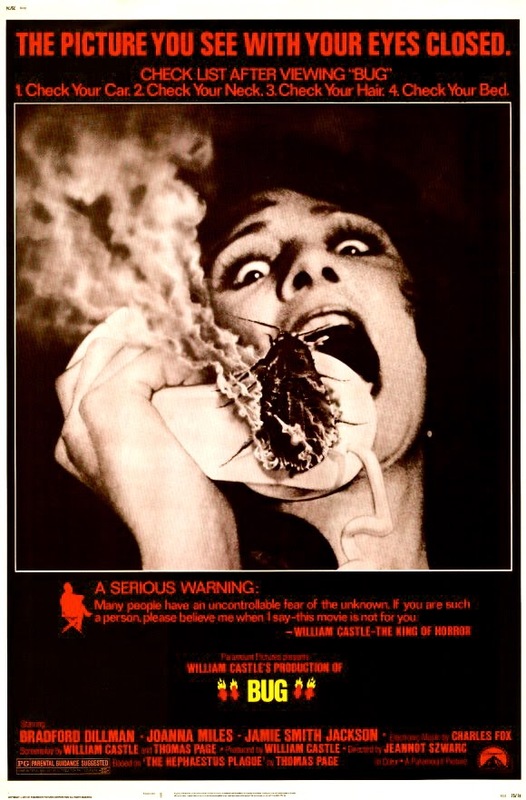 The bugs are a bit more believable than The Tingler (another William Castle production) most of the time, although the real bugs used help disguise the effect. Never once do they logically explain how the bugs shoot flames either. Oh, they certainly try! They do about as well as most 70s films do to explain pseudo-science. As the film progresses, it manages to get crazier and crazier. The lead puts together a super-private lab designed to study these amazing creatures in great detail. Other than his sanity, there are no consequences. Oh, except for the bit where one bug lights his wife's hair on fire. 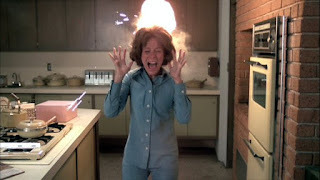 As a bonus, this takes place in the same kitchen set used for The Brady Bunch show. Don't worry, the film has more than just flame-throwing bugs. As time goes by, the bugs strive to break free. 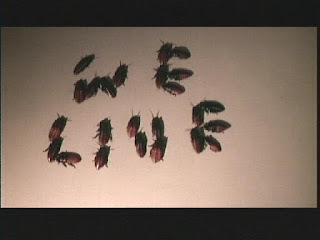 The climax of this involves a group of them escaping their confinement and forming words on the wall. How are they this smart? Does it have anything to do with our scientist friend forcibly mating what he thinks are the smartest ones? They never say. The finale is a bit lazy, unfortunately, as the bugs kill the scientist and get sucked back into the ground by another earthquake. Can you say Deus Ex Machina, kids? This seems like a good movie to watch with a bunch of friends. 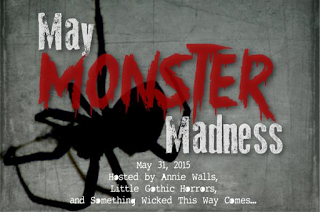 The nasty bits would keep everyone exclaiming "Eeewwws!" And the "silly" plot would make for good talk. P.S. I've never watched Who Framed Roger Rabbit. For some reason, it has never caught my eye. But I'm adding Who Censored Roger Rabbit to my reading list. Thanks for sharing! I LOVE 'Night of the Lepus'! :D It's my favourite awful movie ever!! I've never heard of this movie before, but you've piqued my interest with this great review - I'll be sure to check it out! I actually saw this a long, long time ago together with my parents. I remember that my parents were extremely bored by it, while I was thoroughly entertained. Need to see this again in the near future, this and that other insect-flick which had a similar vibe, "Phase IV". Oh gosh! I remember seeing the beginning of this, as a kid. I never watched the rest of it because, even as a kid, I was tired of cats being used as default cannon fodder! C'mon! Kill a parrot or a chinchilla or something! Night of the Lepus, though? Awesome! Bewildered rabbits knocking over toy trains. Project Terrible Returns- Why The Hell Not?! ?